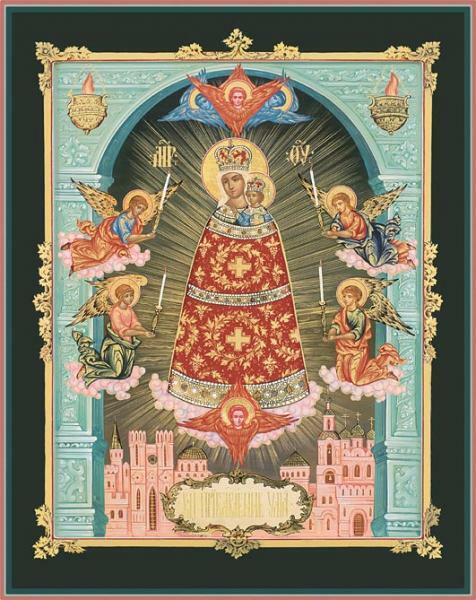 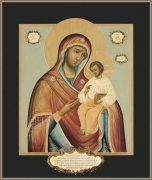 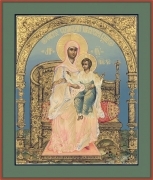 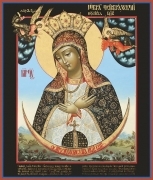 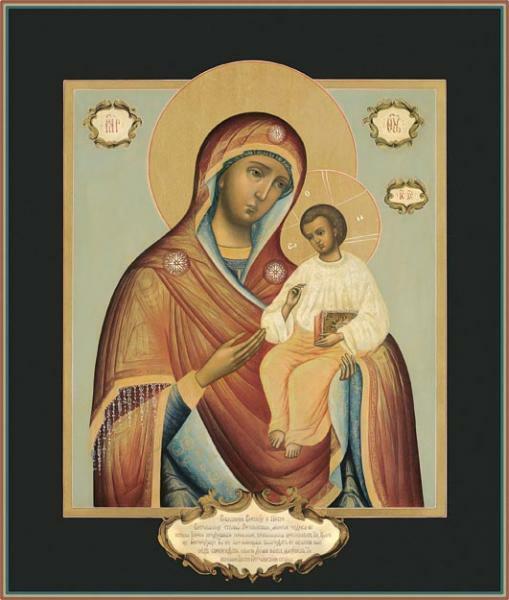 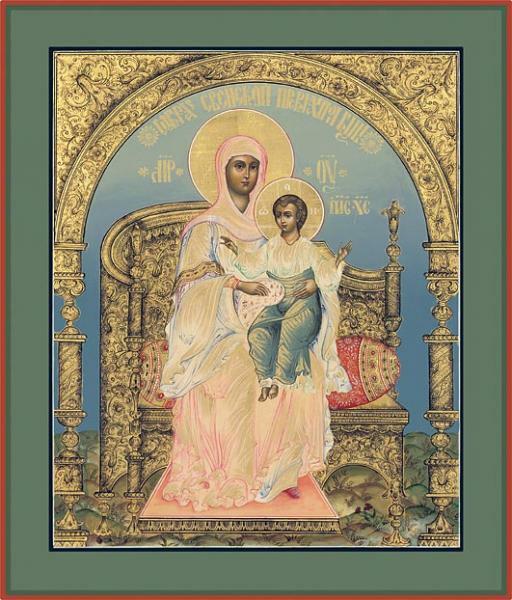 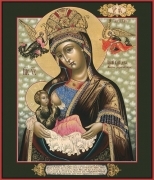 The Mother of God Ostrobramskaya. 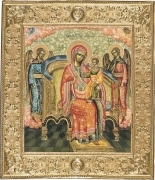 The Mother of God «Nursing the Child». The Mother of God «Humility». The Mother of God Kiev-Pechery Svena. The mother of God «The Grower of Crops». 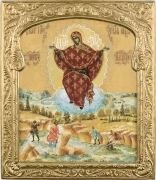 The Mother of God «The Mount not Cut with Hands». 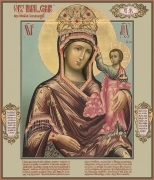 Явление Богоматери благоверному князю Андрею Боголюбскому с избранными святыми на полях. 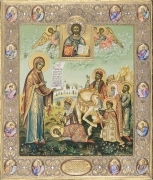 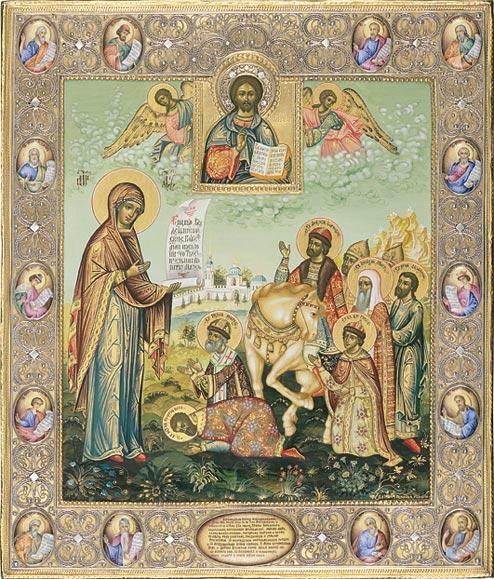 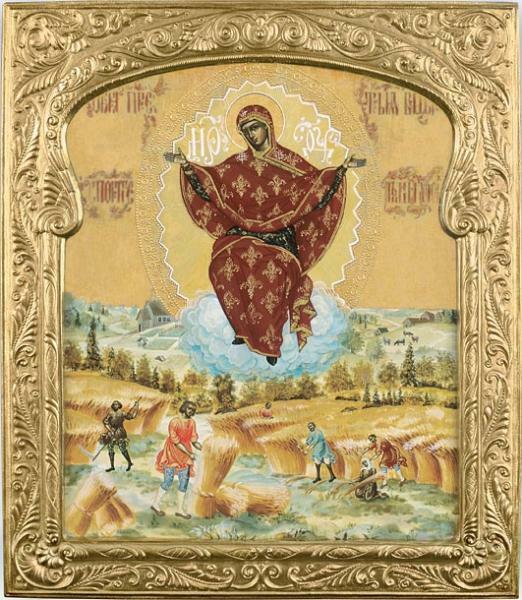 Appearance of the Mother of God to the Reverend Andrey Bogolubskiy with the chosen Saints on the fields. 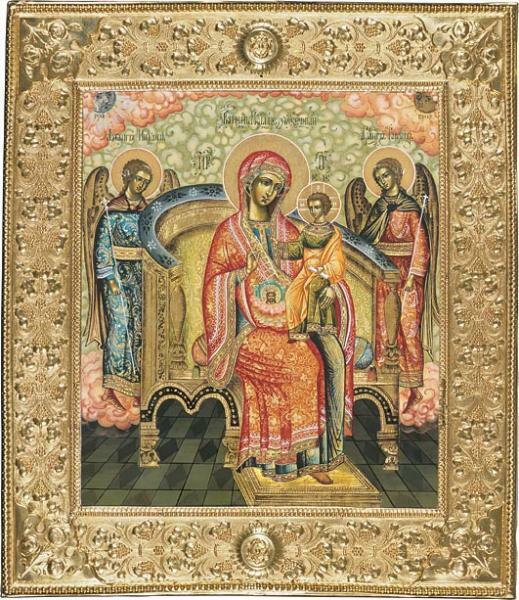 The Mother of God Peschanskaya.